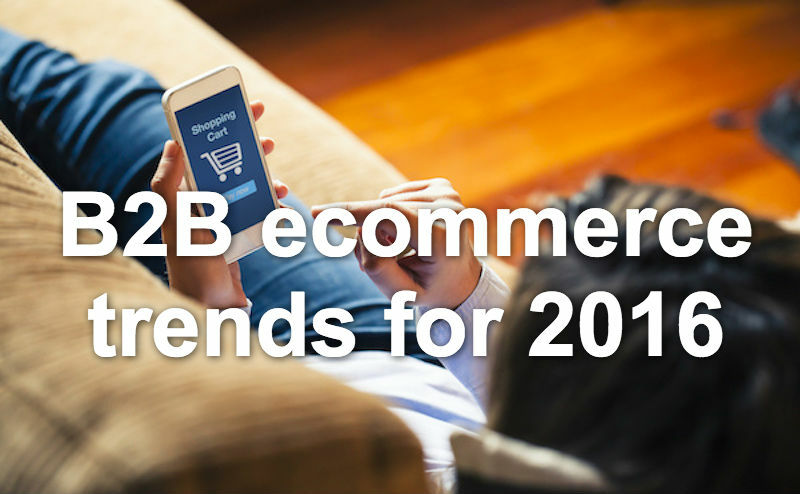 What can we expect for B2B ecommerce in 2016? Every year, Forrester presents numerous reports about sales, marketing and ecommere. Below are four predictions for 2016 we think are important for B2B ecommerce companies. What changes do you need to embrace and incorporate to be on top of the game in the 'age of the customer'? Of course, it is important to make a choice: does your new e-commerce platform have to fit seamlessly into your existing business processes or is e-commerce a game-changer and do you need to redesign your business operations? What we have seen is that most B2B companies choose the former: a new e-commerce platform should be robust yet adaptable to existing operations. Exactly that is the main reason for many to choose to invest in a Magento e-commerce platform. And while a new e-commerce platform always requires an initial investment, Magento is a very affordable and flexible platform to use. Being a complete open source e-commerce platform, Magento also offers many external extensions to make it work even better for business-to-business. For example, Cart2Quote adds a quotation workaround to your web shop, making Magento a whole lot more B2B proof! A couple of interesting numbers: According to Shopify, mobile traffic volume is now 50.3%, even more than computer traffic! Also, Forresters says 52% of B2B buyers do research on their phone. So, whether they buy online with their phones or not, that is still a huge number to deal with! Naturally, this begs a few questions: Is your e-commerce website mobile proof? How is the customer experience? Does it look good, work good, does it offer what your visitors expect? To be able to serve your customers well you will, at least, need an e-commerce platform that can handle 'mobile' well. An important keyword nowadays is 'responsive'. This simply means that your web shop continues to look good and work well, no matter what type of screen you use. So, whether you are on a 27" computer, a phone, a tablet or another device, your website needs to be able to resize automatically and offer a perfect user experience. Magento, as an e-commerce platform, is fully responsive. Depending on the theme you use, your web shop will be looking and working great, no matter what device is used to visit it. As said before, Magento is often complemented by some external modules to make it a perfect fit for businesses. Cart2Quote, as the preferred quotation module for Magento, is also fully scalable and responsive. Your B2B visitors can enjoy a great user experience when you use Magento and Cart2Quote combined! So, having your great eCommerce website is a must. However, is it enough? No. Buyers seldom visit just one website, or even multiple websites, to make their choice. Big online marketplaces, such as Amazon, are becoming a vital place when it comes to the online presence for B2B sellers. In a recent survey, 60% of B2B companies reported that their customers spend more overall with an omnichannel sales strategy. That is huge! So, besides having your responsive and great working e-commerce platform, we recommend you would also invest time and money in your (online) presence elsewhere! Also, surveys say that customers who buy from you both offline and online are more likely to try your new products and become your repeat customers over the long term. Following a study by the Aberdeen Group called “Steps to Success In B2B eCommerce,” companies should integrate their B2B eCommerce platforms with their existing back office systems. Doing so would help companies to include data like inventory levels, customer-specific pricing, and order history on their websites. B2B buyers need this kind of information to make purchase decisions. According to Aberdeen, having this information synced will see visitor-to-buyer conversion rates of over 20% and an 8.3% reduction in shopping cart abandonment. Not only that, but research also shows more annual revenue, cross-sell and upsell revenue, and return on marketing investments. Plenty of reasons to integrate your eCommerce platform with your back office systems.  B2B buyers need information, details, backgrounds, and choices! Use your eCommerce platform not only as a sales channel, but use the opportunity to inform and educate your visitors. Show them you are the specialist, that your company is reliable and able to answer any questions they might have. Have you thought about adding a blog to your website? A blog is a perfect tool to educate and explain more about your products, your company, your uniqueness. And what about company video's? Short clips about who you are, what you sell, your USP's? Not only do blogs and video's help your visitors to make a choice, they also help you with your SEO, making you score better in Google. Exactly because customers, and especially B2B buyers, need information, Cart2Quote has been updated with even more CRM (customer relationship management) functionalities. When visitors request a quote there is plenty of space to add questions and remarks, opening up a conversation, all within your existing Magento backend. Cart2Quote was birthed out of a desire to help B2B companies to 'do online business well'. Adding a quotation functionality is a 'must' for your B2B eCommerce platform, but we can help you to achieve even more! Please contact us when you want us to customize your Magento website.